As you already know I’ve gone down the valentines route a little already with my Jammy Dodger Cupcakes but I’m not done with the romantic notion of valentines yet! Its so easy to make and bake things with a theme and when love is in the air its really fun to play around with different ideas and ways of decorating…! 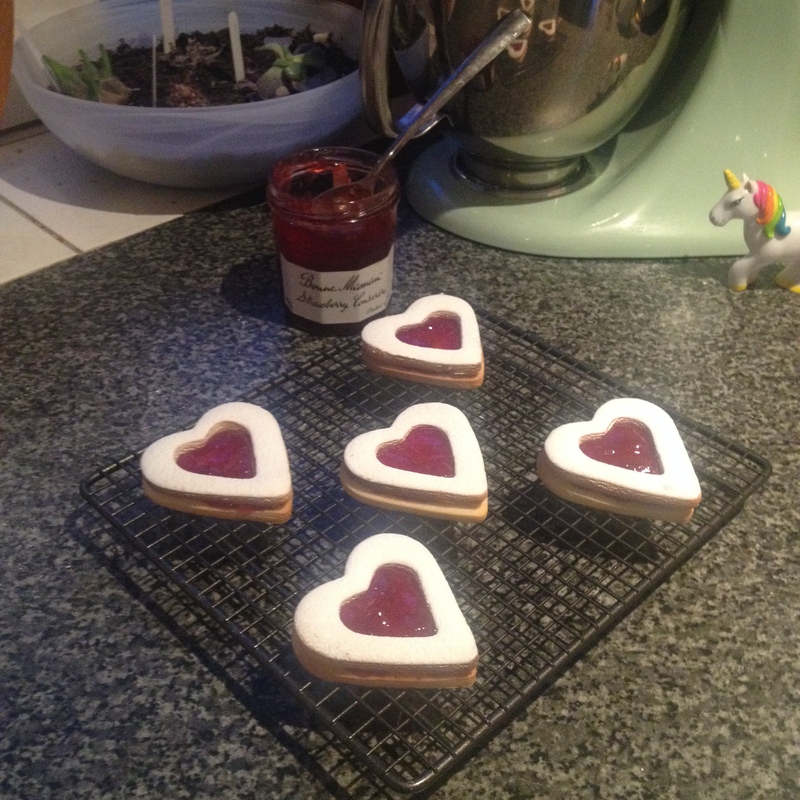 I’ve decided to keep it simple this time around and have opted for jammy hearts! They are sweet and tasty and pretty to look at! 1. Preheat oven to 180°C/Gas 4. Line a baking tray with baking paper. 2. 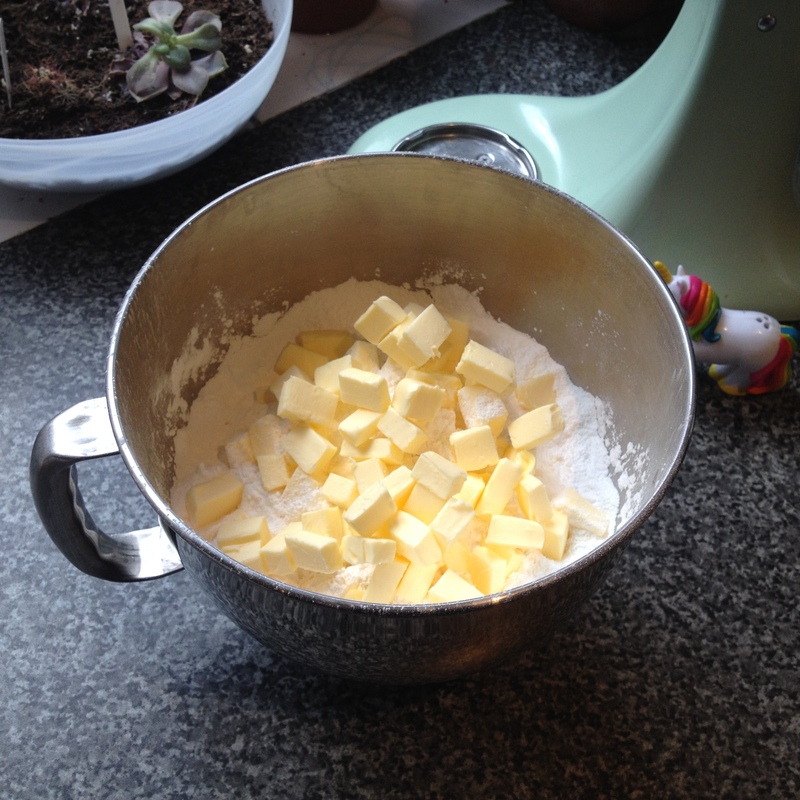 Using an electric mixer, beat the butter, sugar and vanilla in a bowl until pale and creamy. 3. Add the egg and beat in to the mixture until well combined. 4. 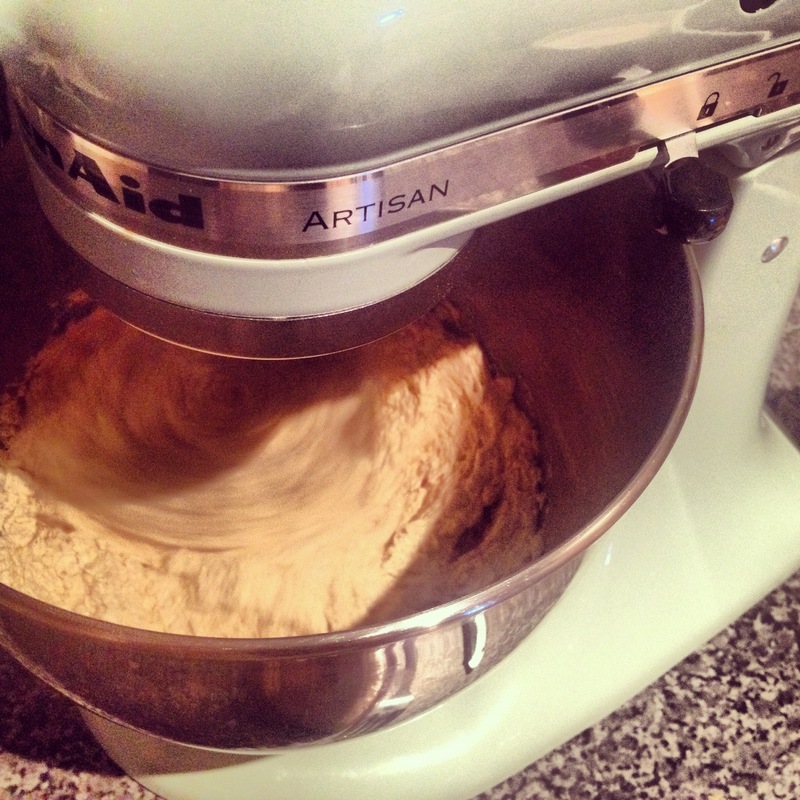 Connect the dough hook to your stand mixer and sift the flour and baking powder in to the butter mixture. Add the milk and mix until combined. Tip: This dough can seem like it takes a long time to come together but it will get there eventually! If it sees like it is too sticky you and add another tablespoon of flour and perhaps try kneading with your hands to help bring it together. 5. Turn your dough out on a light floured surface and using a rolling pin, roll the dough out to about 1/2 and inch in thickness. 6. Take the larger of your heart shaped cutters and cut out as many heart shape as you can. 7. 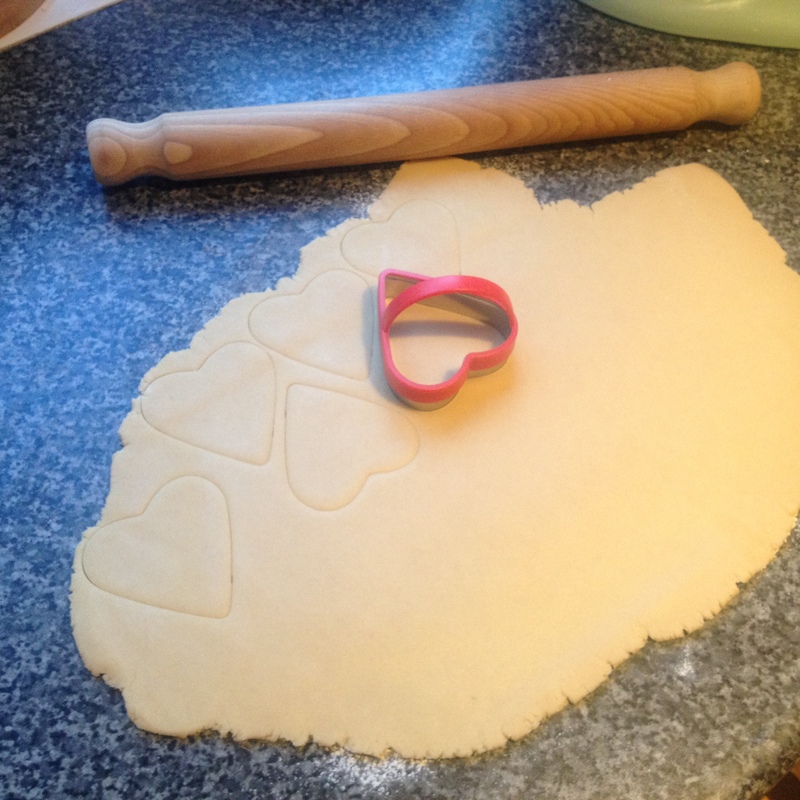 Gently place your dough hearts on the prepared baking tray. You might not be able to fit them all on at once. 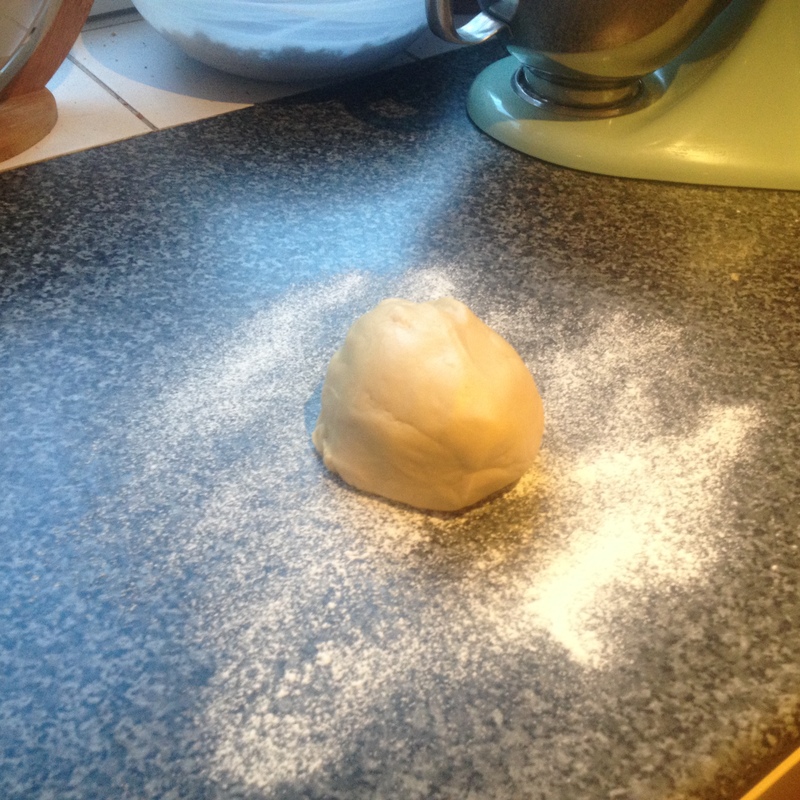 Tip: It will be easier if you have a spatular to help lift the dough hearts off the surface – but be careful with them. 8. 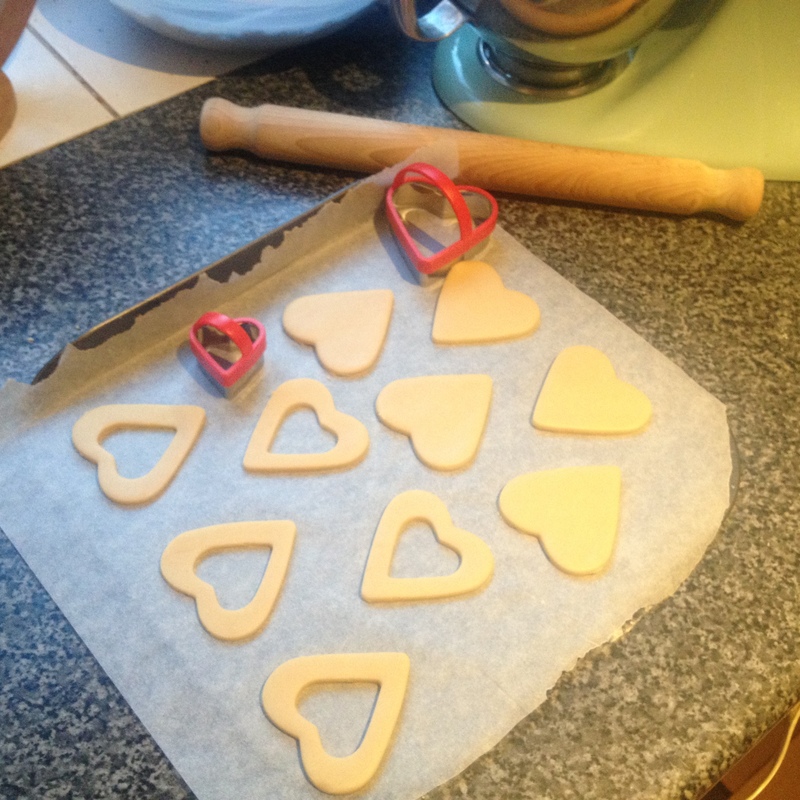 Now that your dough hearts are on a baking tray it will be easier to cut out the middles. 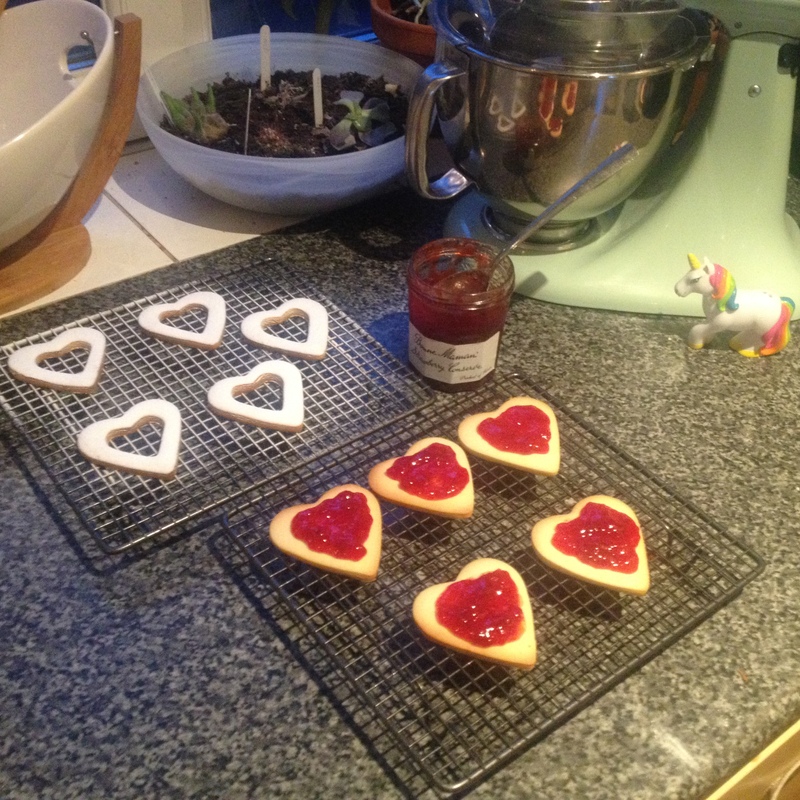 Take the smaller heart shaped cutter and carefully cut out hearts from the middle of half of the cookies on your baking tray. 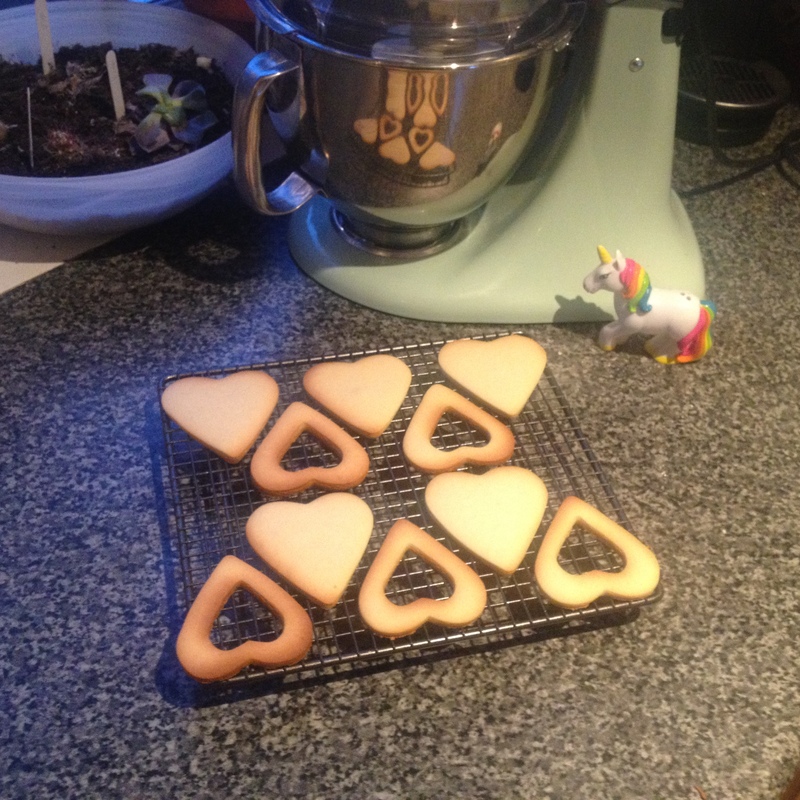 Remember: You will only need to cut small hearts out of the middle of HALF of your cookies. You need to make sure that they other half are left as whole hearts. 9. Place your baking tray in the oven and allow to cook for 10-12 minutes or until golden brown. 10. Once your cookies have finished baking, remove from the oven and allow to cool slightly before transferring on to a wire rack to cool completely. 11. Take the heart shaped cookies with the holes in the middle and careful use a sieve to cover them in icing sugar. 12. 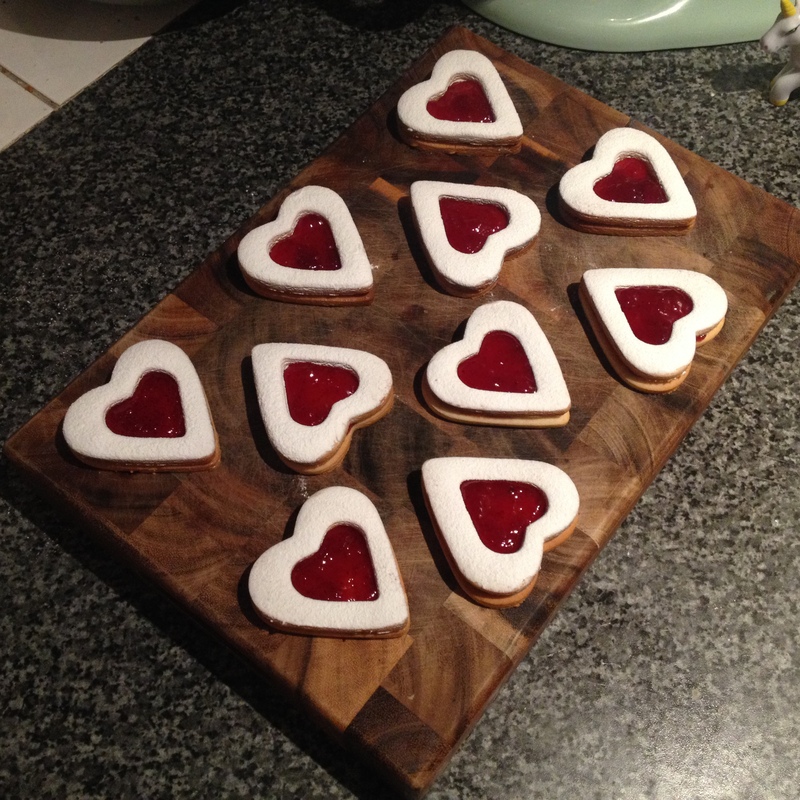 Next, take a whole heart cookies and using a teaspoon, place a small dollop of raspberry or strawberry in the middle of the biscuit. 13. Take the other half of the cookies with holes in the middle and place them over the whole cookies so that the jam is visible from the middle of the heart. 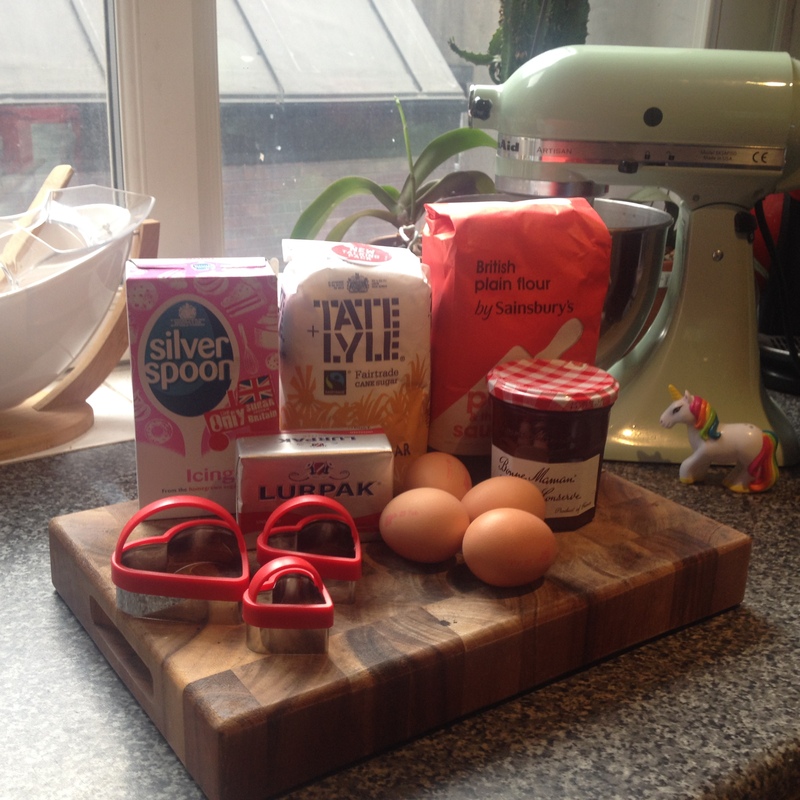 This entry was posted in Cookies and tagged cookies, dough, hearts, Icing, Jam, jam cookies, Jam hearts, valentines, valentines day by stephandpenny. Bookmark the permalink. 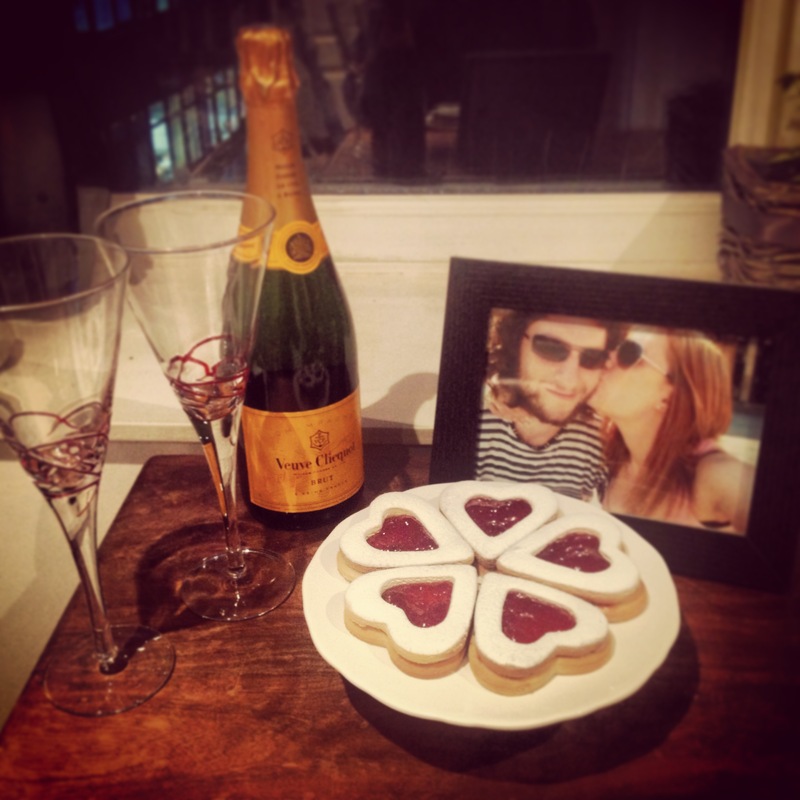 A perfect combination of jammy, delicious and adorable! Unfortunately I don’t have a rainbow unicorn to supervise my baking, but I think I’ll give these a try.